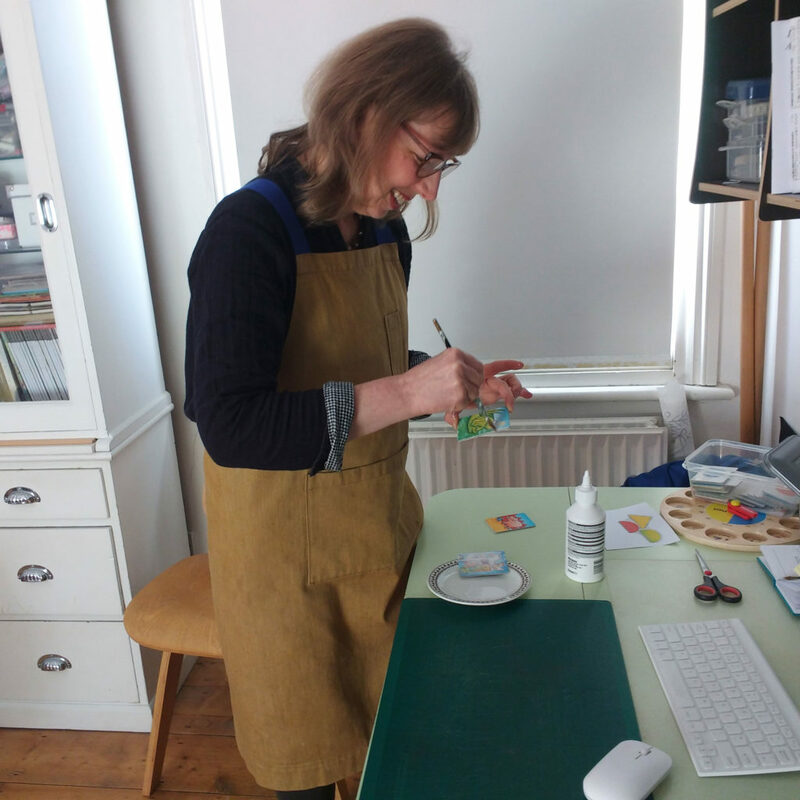 Quite regularly I make batches of game pieces/cards to replace lost ones from the Myatt Garden School Storysacks Library – missing pieces stop play! 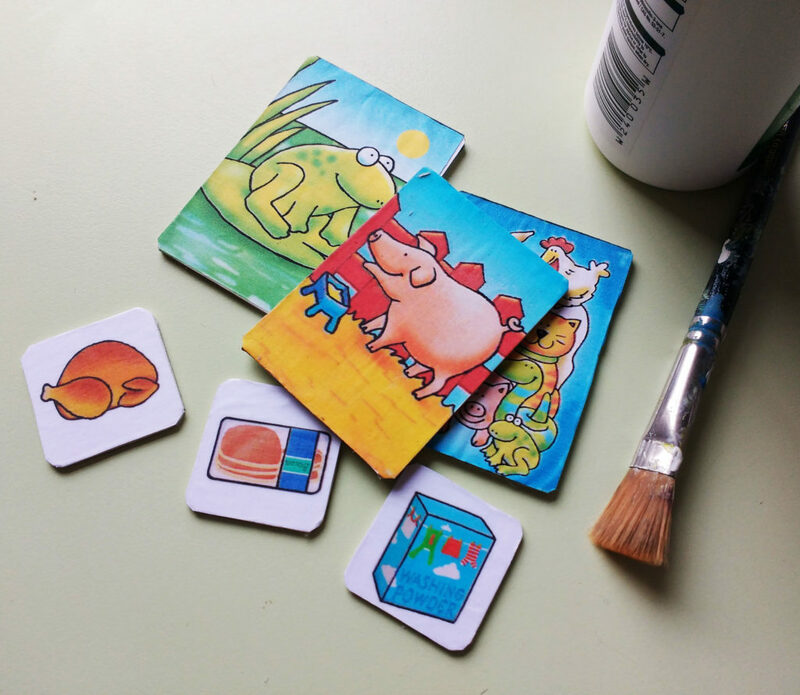 Some years ago I scanned all the Storysack game pieces, so when they are lost I can print them out on paper, glue them to cardboard and seal with more glue – making new pieces so the games and Storysacks can continue to be used! 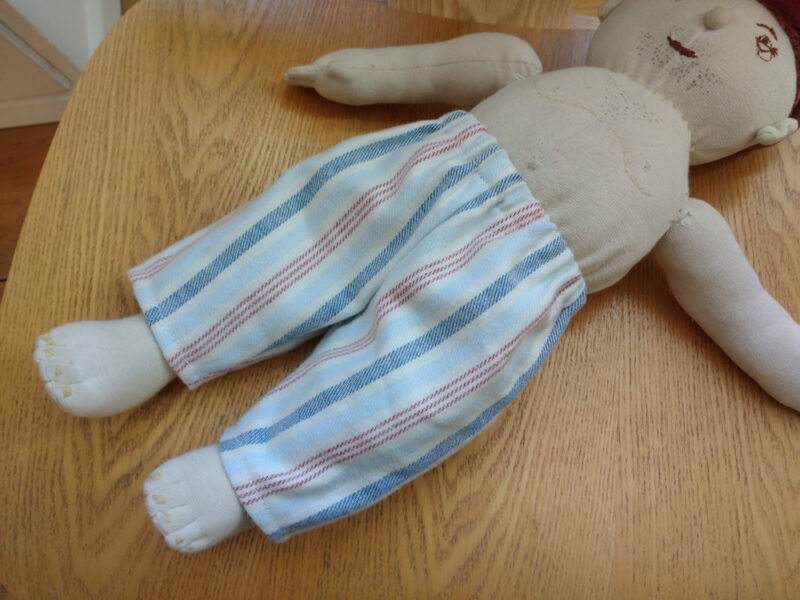 Occasionally I need to make replacement clothes for character dolls, this week it was a pair of new pj’s for the lazy farmer in the Farmer Duck Storysack – a few weeks ago a tiny shirt for Nelligan from the Pig in the Pond Storysack. 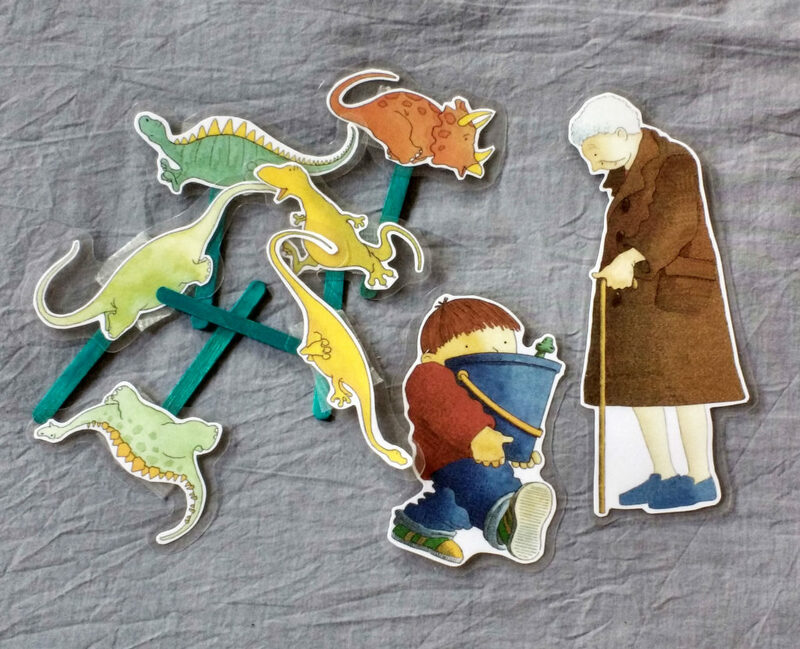 Recently all the dinosaurs were ‘lost’ from ‘Harry & the Bucketful of Dinosaurs Storysack, so I did some scanning (from the storybook) and drawing in Photoshop to make ‘lollystick puppets’, then found some great Harry and the Dinosaurs activities online, improving the educational value of the sack too! 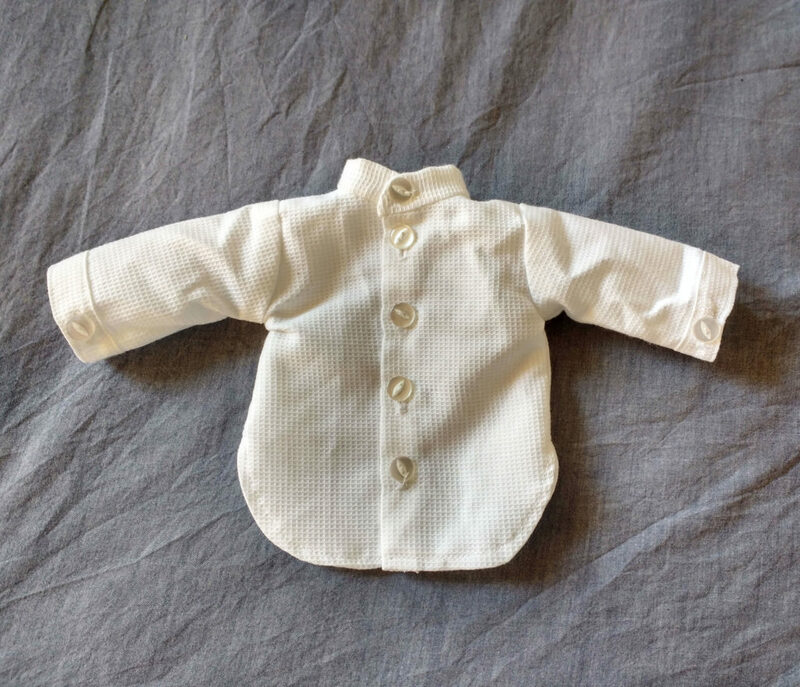 This entry was posted in News and tagged In The Making, In The Making - aprons, Lisa Bennett, Making, Mending, Sewing, Storysacks, Storysacks Library on January 20, 2019 by lisabenn.